We are an Engineering company involved in the design, development and production of electronic and software products. Our primary expertise is with Instrumentation, measuring things, control, embedded systems, robotics, real-time, DSP and Internet of Things (IoT) systems. However, our knowledge and abilities are extensive. We perform innovative Research and Development tightly integrating electronics with software. We also provide design and development expertise where we can work with you to turn your unique customer requirements into well designed innovative solutions. We are based near Bath and Bristol. Just contact us to discuss your needs and see if we can work with you to develop a new solution or product. We are especially experienced in developing innovative and practical systems for customers. Our research and development abilities along with our extensive knowledge of electronics hardware and software allow us to design systems, large or small and provide unique and often simple solutions. Unusually our engineers are experienced in both hardware and software design and are adept at hardware/software integration which allows us to provide efficient design solutions. Our work majors in the field of instrumentation, sensors, data capture and processing, control, robotics, low-power interface and scientific systems. Routinely we use digital signal processing (DSP), real-time and parallel processing techniques. Systems are often based on ARM Cortex low-power micro-processors or PIC/Atmel processors through ARM Linux systems to real-time multi-FPGA systems capable of processing 18 billion samples per second. The companies we work with range from small two man companies to larger oil and gas engineering companies, science companies and research organisations. Whatever your system, instrumentation, software or electronics requirements are please don't hesitate to contact us for an informal chat or visit. We can often provide new insights and ideas for your systems or products. For more information please have a look at our development services and examples pages although these only contain a fraction of the projects we are and have been involved in. We can also help and partner with you on InnovateUK funded projects. Please don't hesitate to contact us. We have experienced bespoke software developers and work in many varied areas. Embedded systems and real-time systems are a speciality especially when digital signal processing is involved. However we have also been involved with developing massive data storage systems with MySQL databases and PHP based WEB front ends. IoT software is also a speciality, we often include mini WEB servers into systems for control and data management over Wifi, Ethernet or other interfaces. We are well versed in all aspects of the Linux OS from writing applications to writing Linux kernel device drivers and porting Linux to new hardware platforms. As well as our own products we work on many projects for our customers. Many of our projects are commercially sensitive. So this list just includes a few of the open projects we have carried out. Please see our examples for more. BMeasure-125i IOT data measurement instrument. 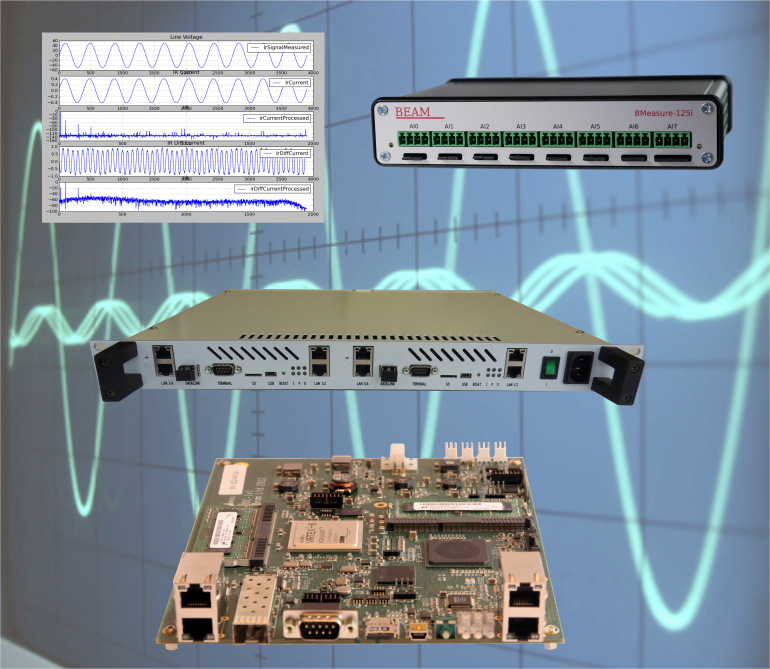 Our new BMeasure-125i unit is a flexible and powerful data capture, logging and control unit. This project designed and developed the electronics and software for a laboratory ultra-pure water purification system. A unit for the reduction of pollutants generated by automotive internal combustion engines. Using our extensive instrumentation research and development abilities we have developed innovative cable monitoring techniques to measure insulation resistance with high accuracy on live operating cable systems. As part of our internal R&D program we have developed hardware boards and software tools to allow us to get the most out of the new 32 bit ARM Cortex processors. This project design and developed a FPGA based system to process radio signals is a small 1U rack mounted case. 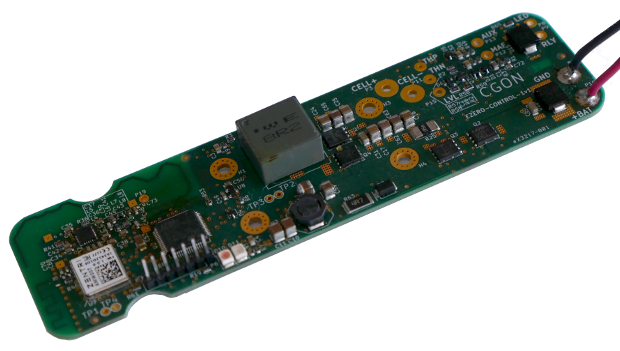 We designed and produced the 16 layer PCB that utilises a XilinxVirtex-6 FPFA to process the radio signals in real-time. This project involved the design, construction,commissioning, support and maintenance of a new trajectory measurement system for the CERN Proton Synchrotron.